Very powerful sound, even without a subwoofer, timbre balance is great and user-friendliness very good. There could also be even more air at the top. 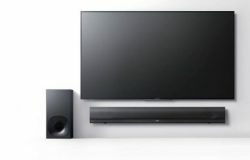 Like the Sonos and Yamaha YAS-306, Bluesound lacks HDMI inputs. 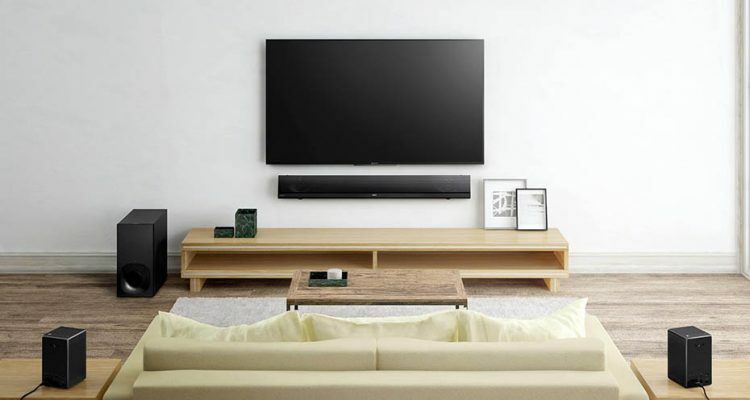 Instead, the TV must be connected using optical cable. 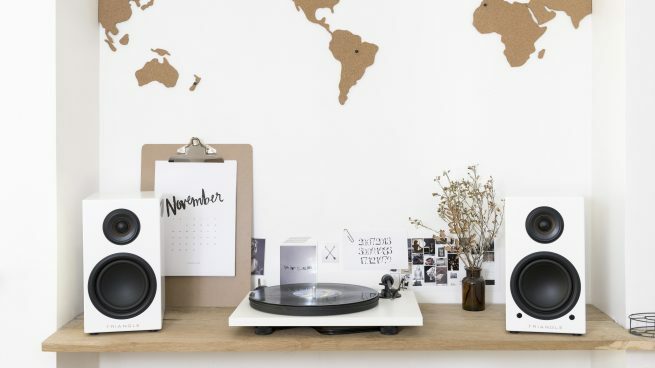 Bluesound’s multi-room system works very similar to Sonos and Heos, and connecting to the wireless network is a piece of cake. 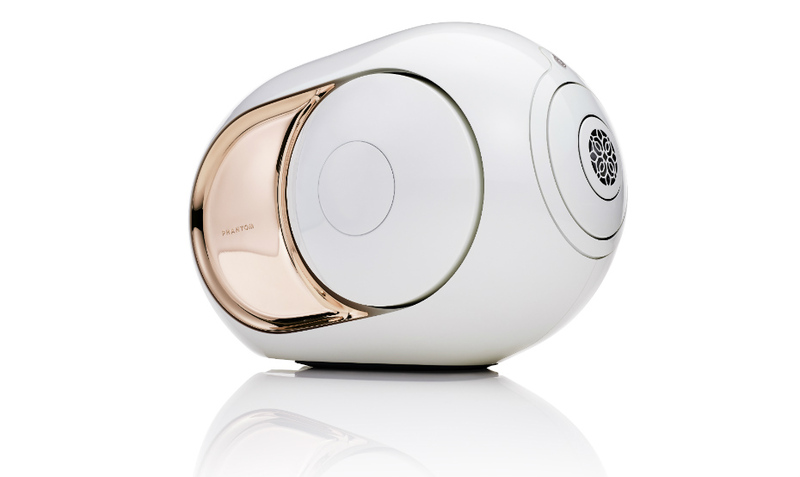 Bluesound supports high-definition audio, which is worth noting for those interested in hi-fi. 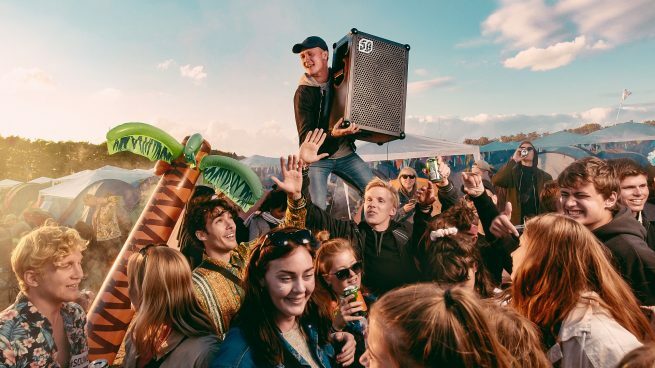 The interface with the app works fine, and Bluesound supports Sonos and Bose wireless subwoofers, which can be purchased as optional accessories. 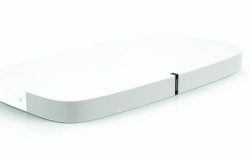 However, it does not support external, wireless back speakers, which the two competitors do. As with Sonos and Heos, it does not come with a remote control. Here you have to use the mobile app. 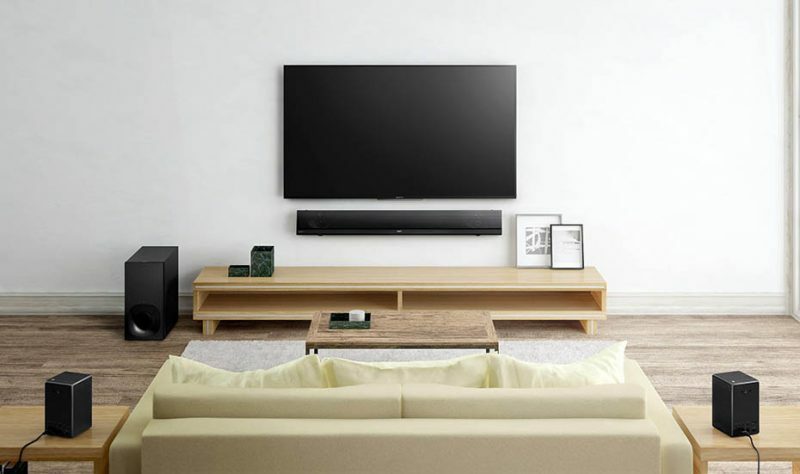 Like the two, Bluesound can learn the volume commands from the TV’s remote control, but here it is not part of the steps in the initial setup: you you have to enter in the setup menu and save it there. If you think Bluesound seems expensive compared to Sonos, you will understand why when you hear it. 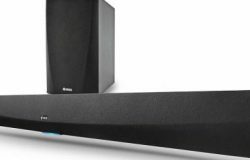 On film, it is evident that Bluesound has more powerful sound and better dynamism than both Sonos and Heos. The sound pressure is not quite the same as with the Klipsch, but the sound quality is much better. Even without a subwoofer there is a lot of power here, and there is surprisingly good punch in the mid bass range. Depending on its physical placement, there may be some colouring in the upper bass area that masks the dialogue. We therefore do not recommend having this on a shelf, but preferably on the wall. Then you’ll get a more open sound. 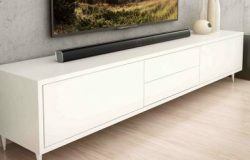 If you purchase Bluesound’s subwoofer and connect to it, the soundbar will cut out all tones under 80 Hz and instead transmit them to the subwoofer. This will also solve the problem. 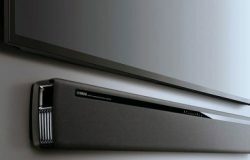 The soundbar has three Wide modes of stereo width: Off, wide and wider, where the latter produces the widest soundscape. This works best for movies, so will get the best experience of surround sound. The sound effects in Deadpool resonate around the room, while the dialogue is clear within the plot. We like music in stereo in Wide Mode best. You get a little extra width, without it sounding exaggerated and phase delayed, which we experience in Wider Mode. Music is rendered with great body below. A cello is rich and warm, and hiphop and rock music sound tough even without a subwoofer. We would have preferred more air at the top. 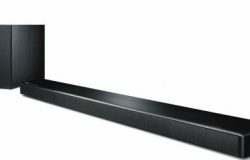 It does not feel like an advantage to have high-resolution sound when the treble rendition is not airy enough to render it, but all in all, the Pulse soundbar works great with music. 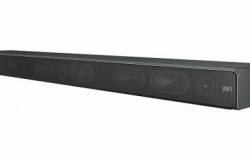 The Bluesound Pulse Soundbar has great power, and sounds tough for both movies and music. The dialogue is huge and clear, and there is plenty of oomph in action movies, aplus the rhythms in party music come out well. Along with the subwoofer, this will be even fiercer. 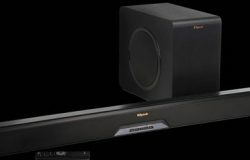 There is no doubt that the soundbars with subwoofers have even deeper and cooler bass. 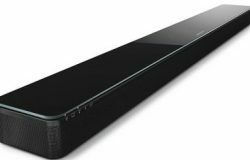 But Bluesound has so many qualities combined with power; in addition, we like the usability and multi-room feature that it is overall the best in the field.